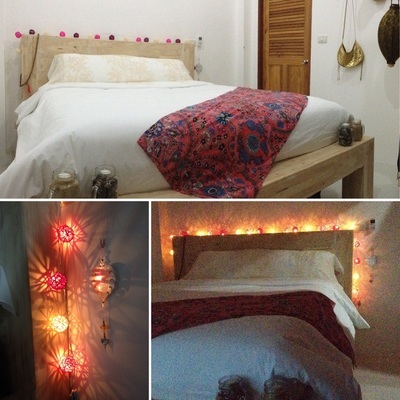 Page in progress of redesign, new listings posted from the top. of the page. 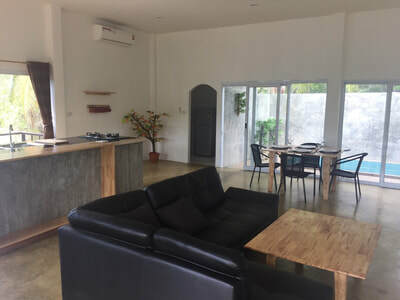 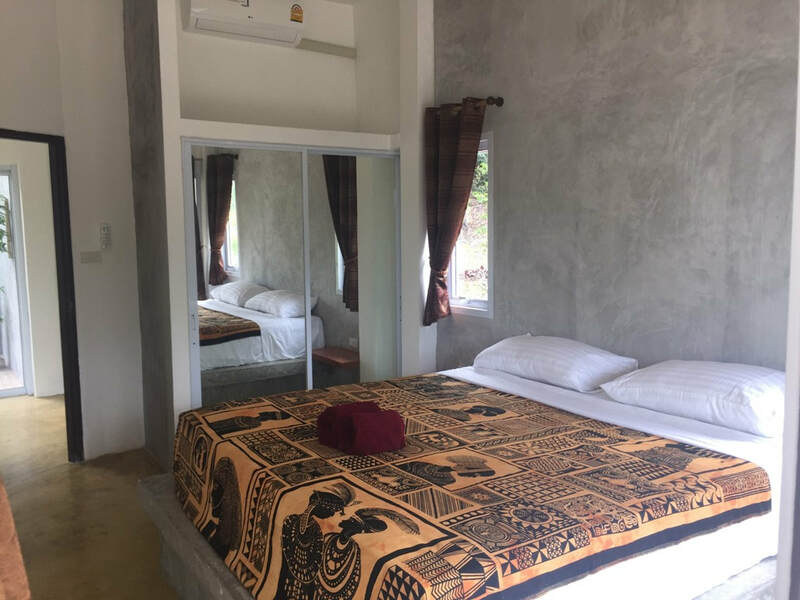 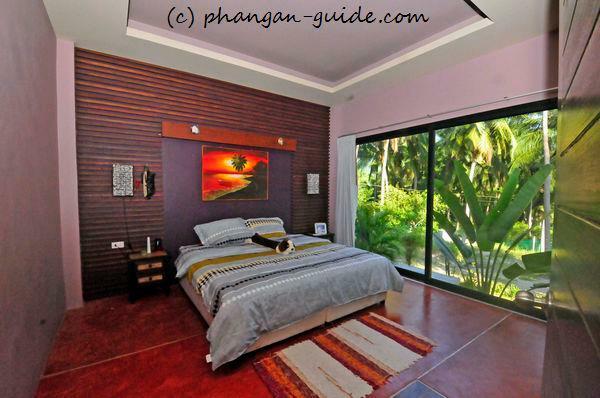 Up to 3-bedroom pool villa "coconut grove"
Fantastic, spacious & luxury, this one bedroom Private Pool Island Villa on Koh Phangan with tenants on a one year renewable contract. 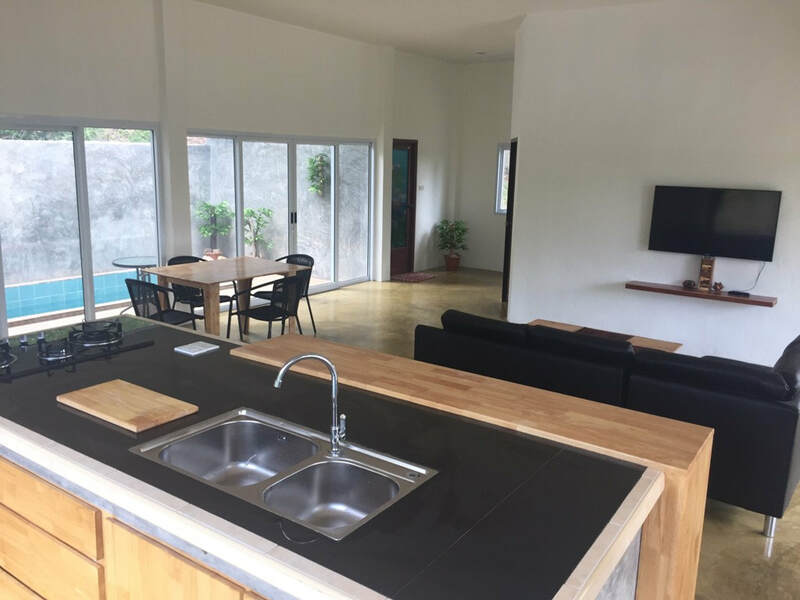 Property is also listed through AirBnb, and Home Away. It is under foreign company name and Top Chanot Title. 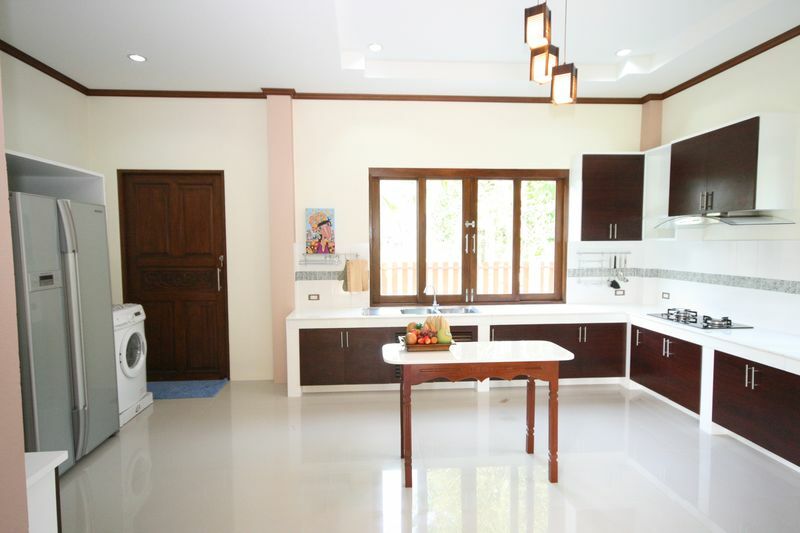 Land area is 800sqm and the villa is 100sqm. 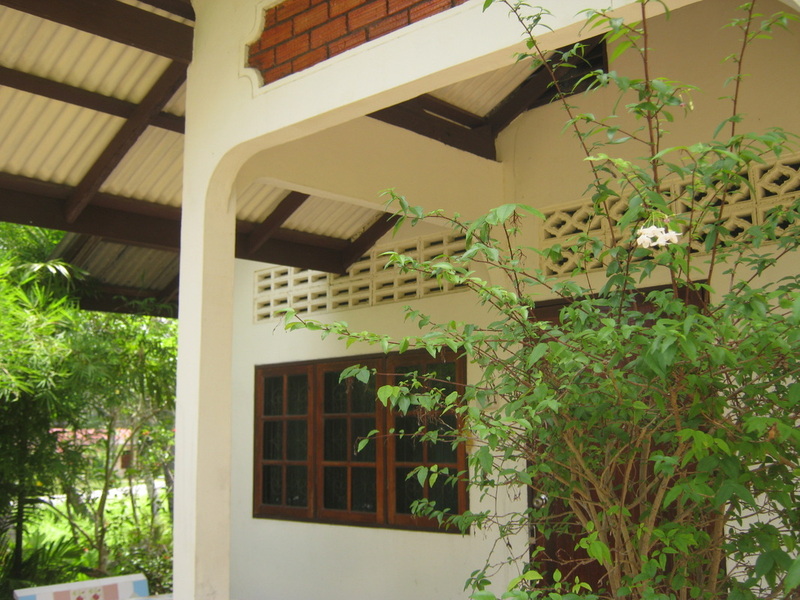 There is enough land to build an extension or separate house with many more beds. I have the plans for this and will give to the buyer. 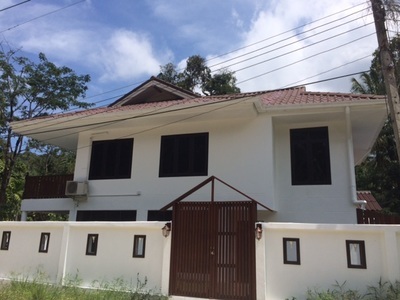 Cost to extend is around 700,000 baht and after completion will be worth substantially more. 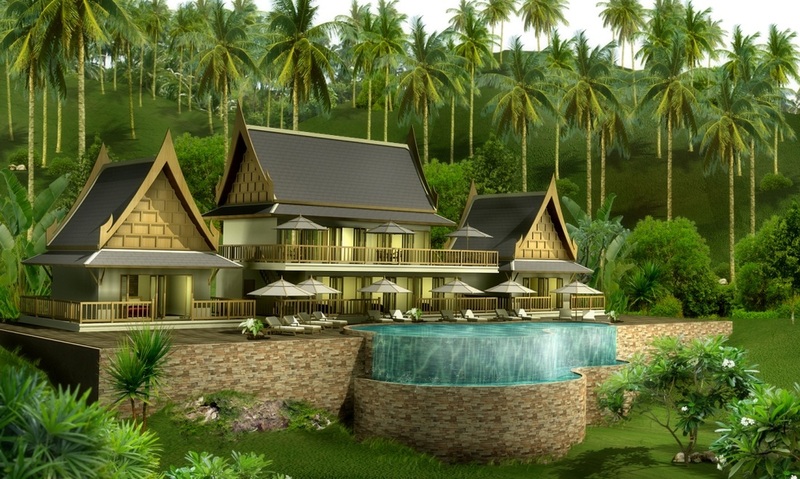 Please click on the Youtube link to see the extension plans., as there is a huge investment opportunity. Electric we already have is government metered, with only 3.5 baht per unit. 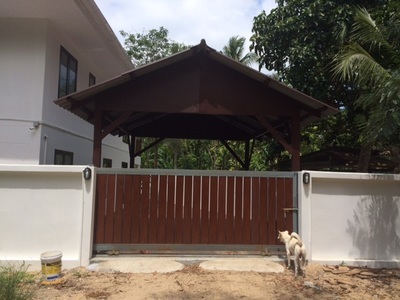 Super high speed fiber optic internet and Stainless steel guttering to the rear of the house feeds directly to the storage tanks. 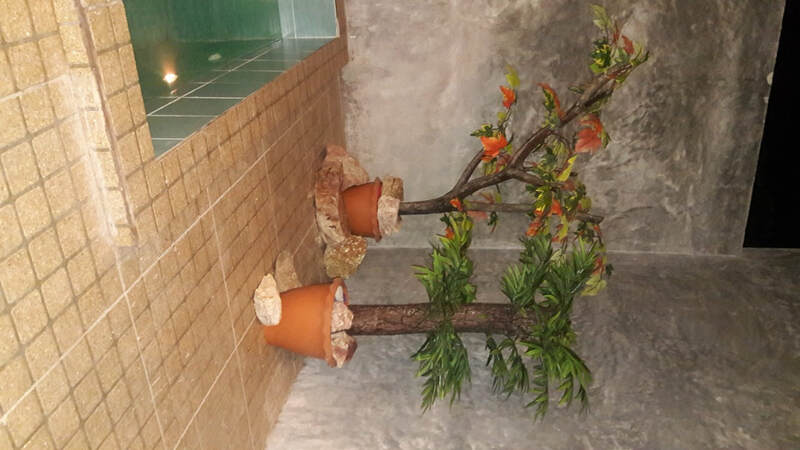 Ground water is available at the aquifer level for anyone wishing to create a well but government water is can easily be connected now. Access to the land is via public sand road and Sun Set Beach is just 3 - 4 minutes ride on scooter. Prices: by request from the owner. 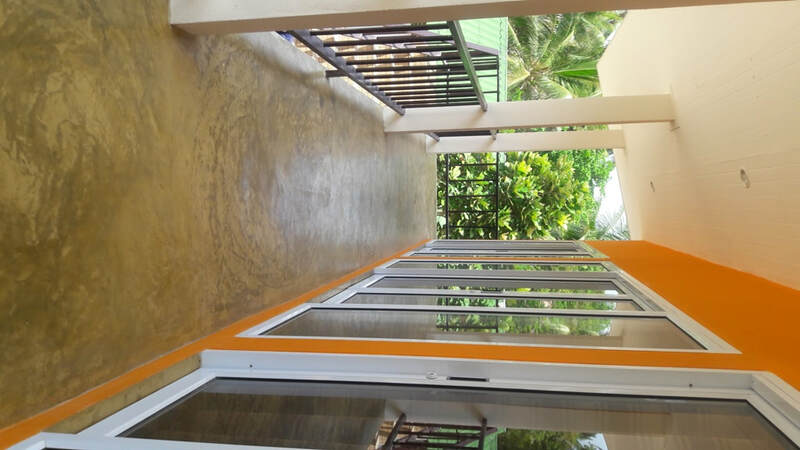 Beautiful 2-bedroom houses lies on 1,5 Rai of sea-view land. Title: Chanote, good concrete road. 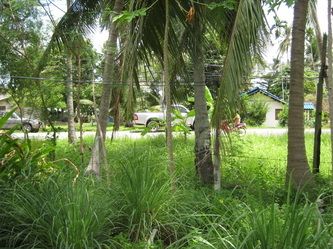 Distance to the beach of Chaloklum: 2 km. - living room and sea-view balcony. 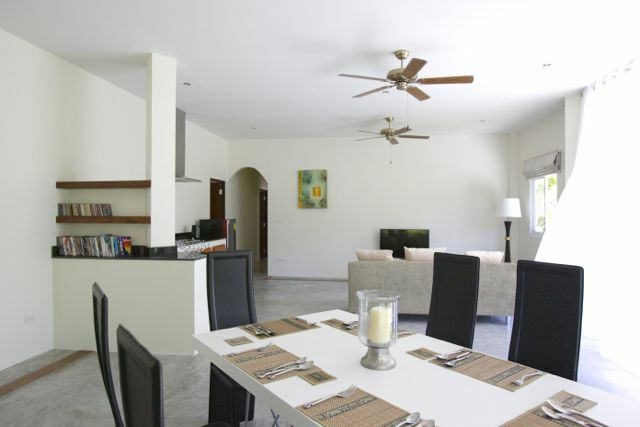 Large 4-bedroom/5 bathroom villa with private swimming pool & sauna, spacious terrace, kitchen and well furnished. 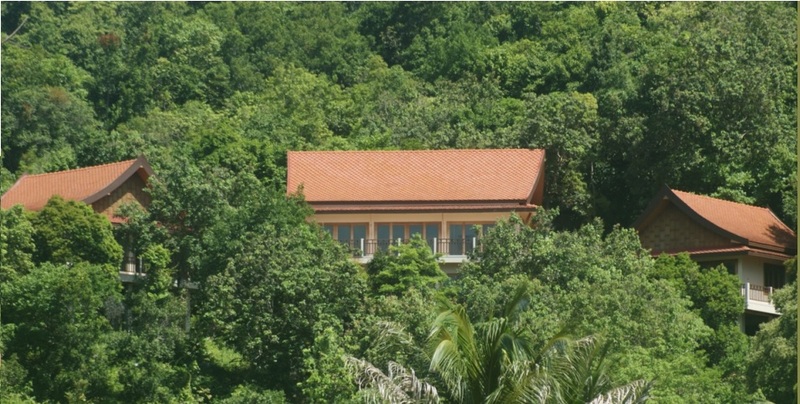 Parking on 3 cars, tropical gardens. 1 Rai of land. 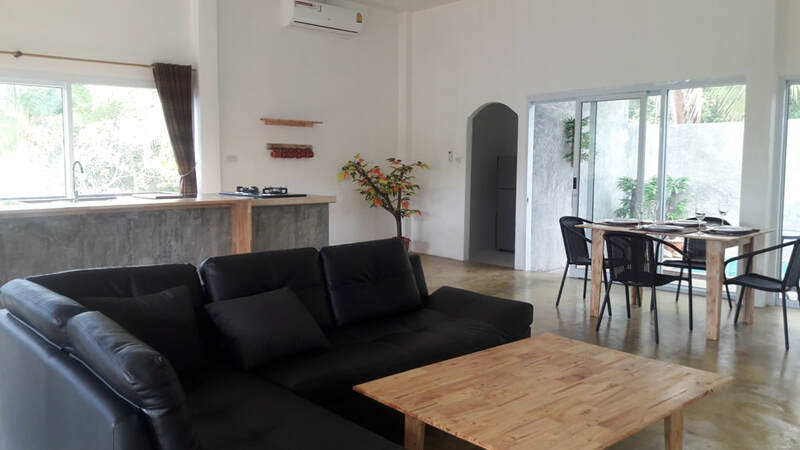 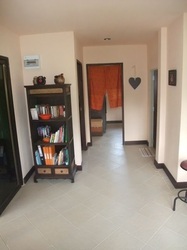 Nice 2-bedroom house for sale 80 sqm set on 516 sqm of land with coconut trees setting, located in Hin Kong. 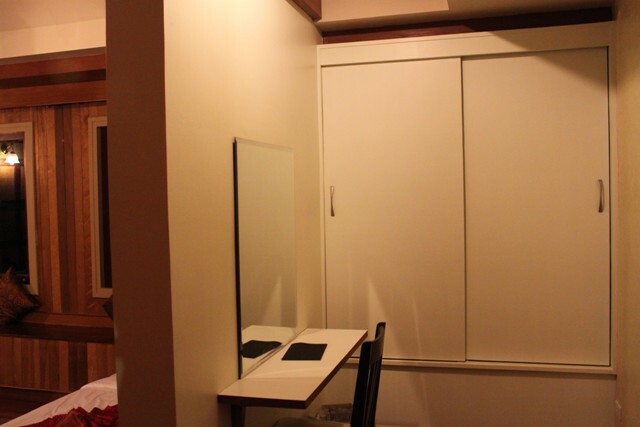 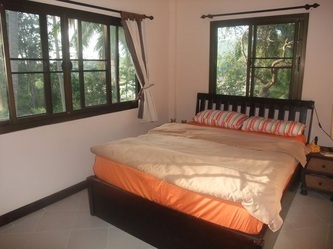 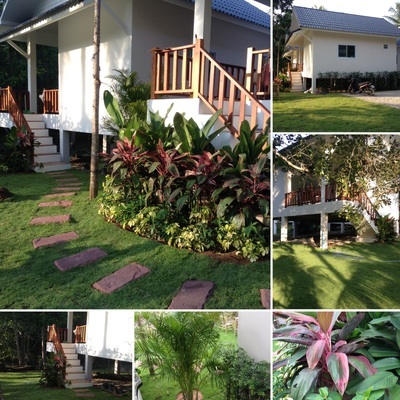 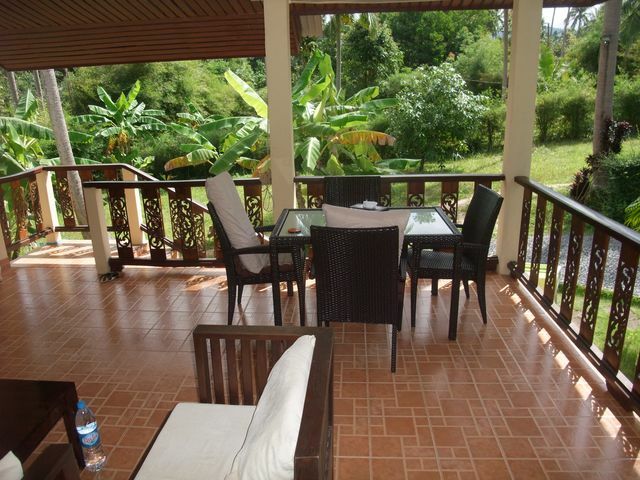 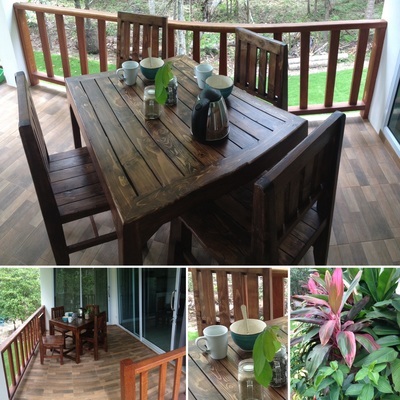 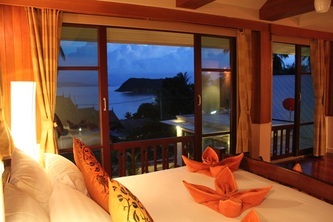 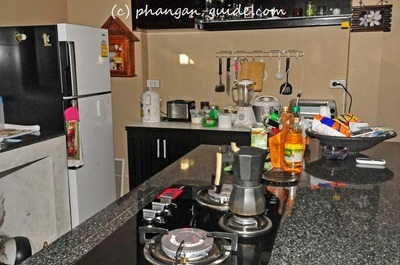 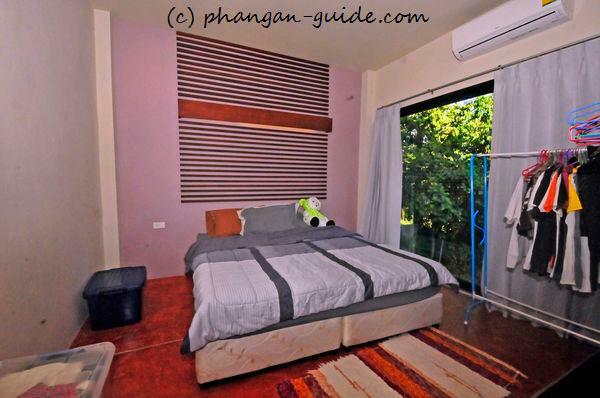 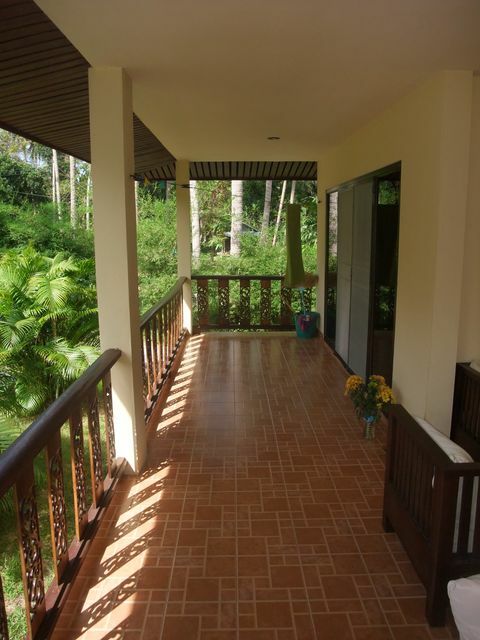 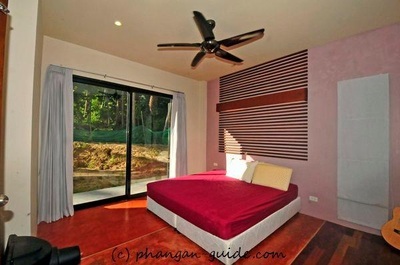 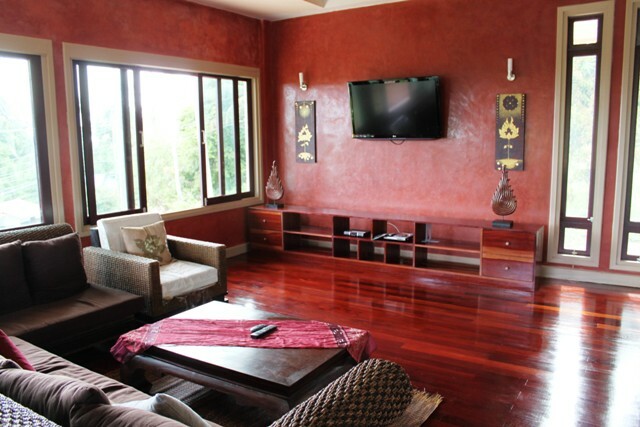 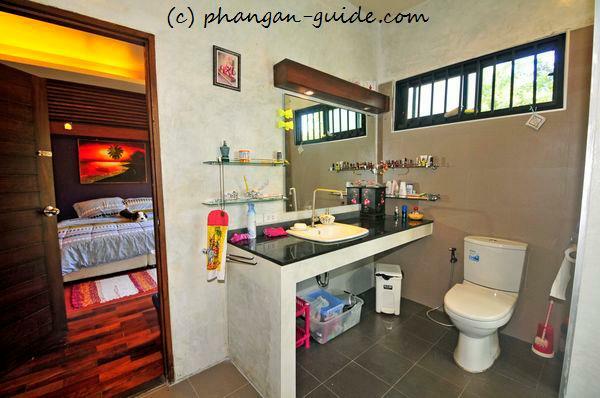 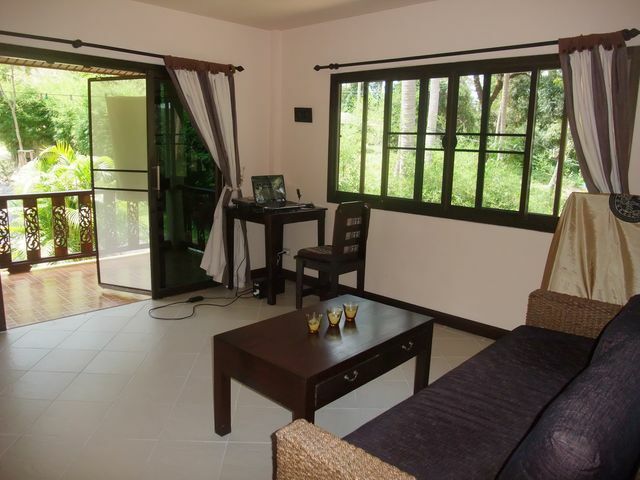 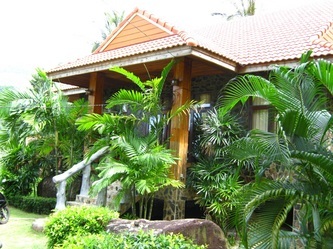 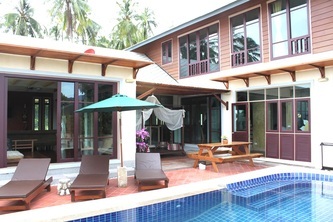 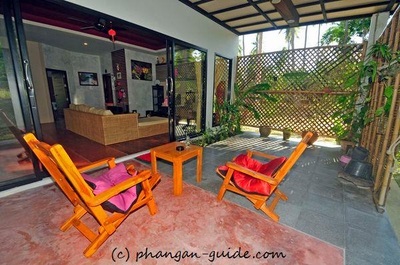 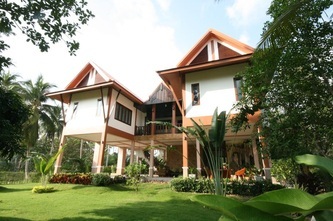 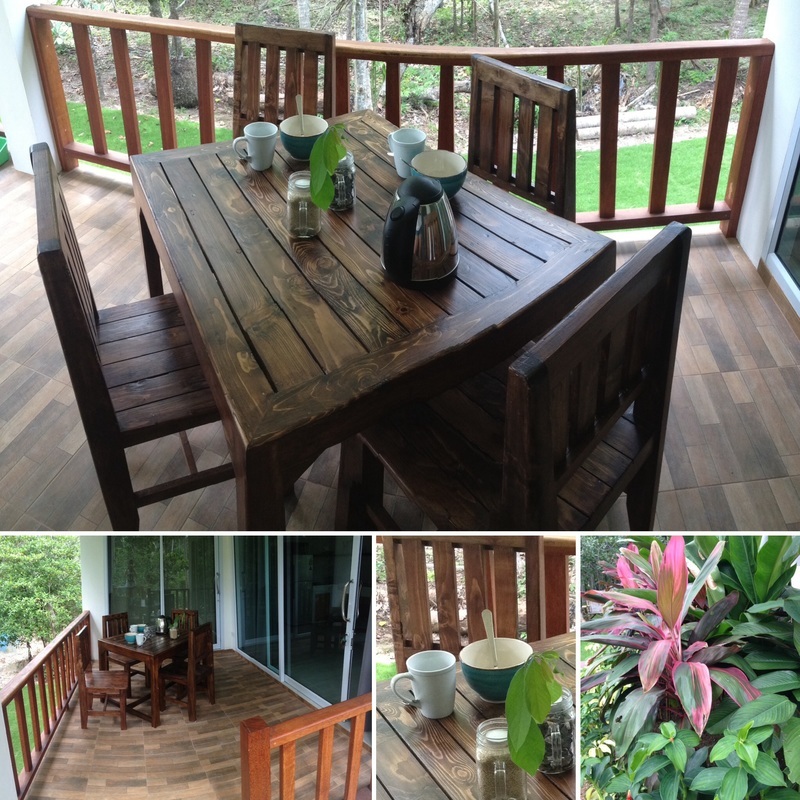 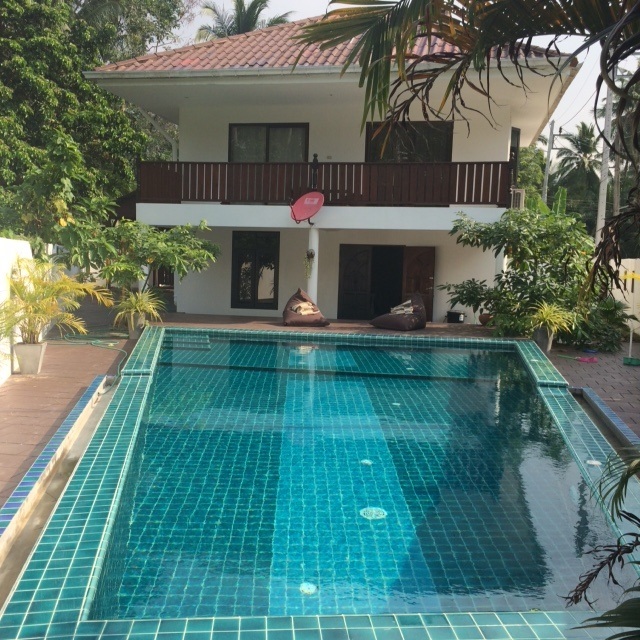 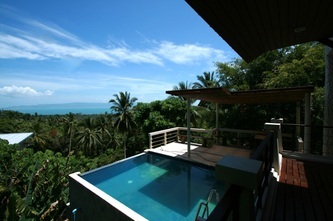 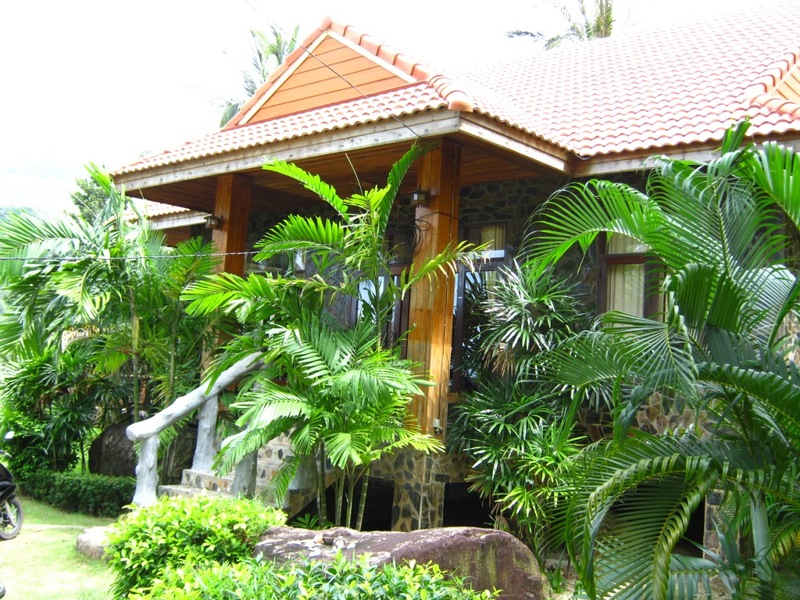 About 5 km from Thong Sala and 1.5 km from the beach. 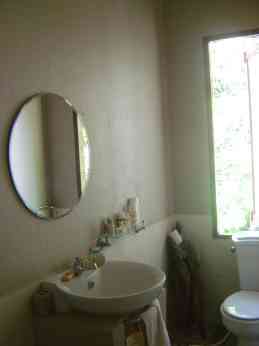 Set in landscaped gardens with plenty of off road parking. Indoor area: 2 bedrooms, 1 bathroom, equipped open plan kitchen with living area. Huge covered terrace with outside dining. Government road access, electricity and water. 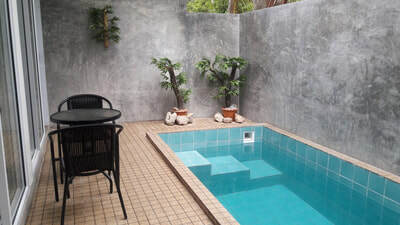 Supply of 3 cubic meters of water tank. Sold with company. Fully furnished. 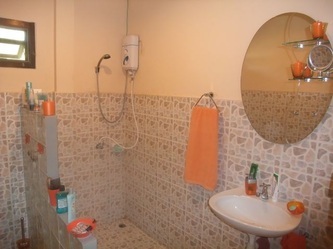 Nor Sor Sam. 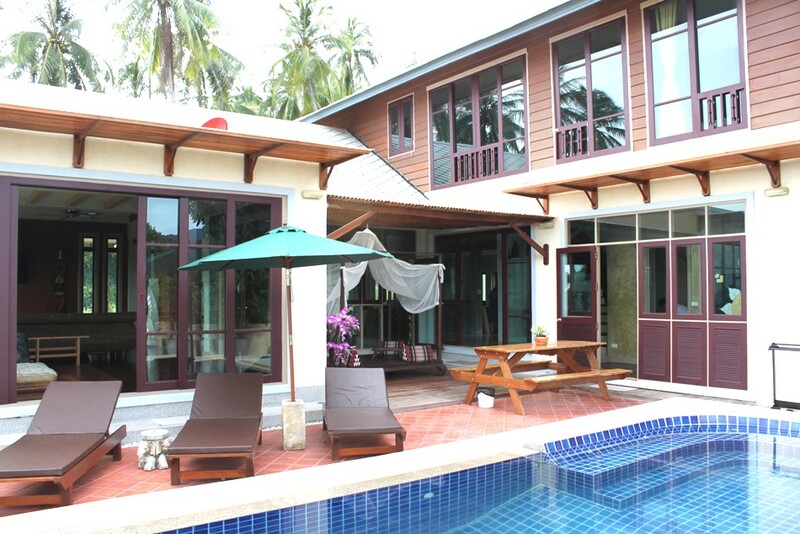 Price : 2,900,000 THB - discounted for urgent sale!! 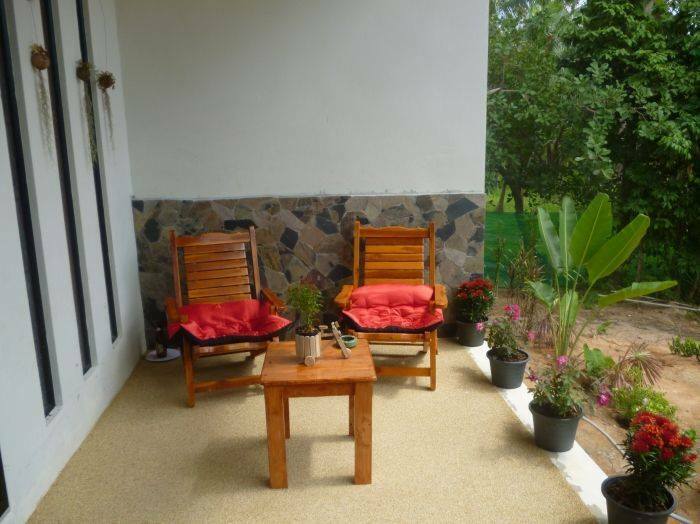 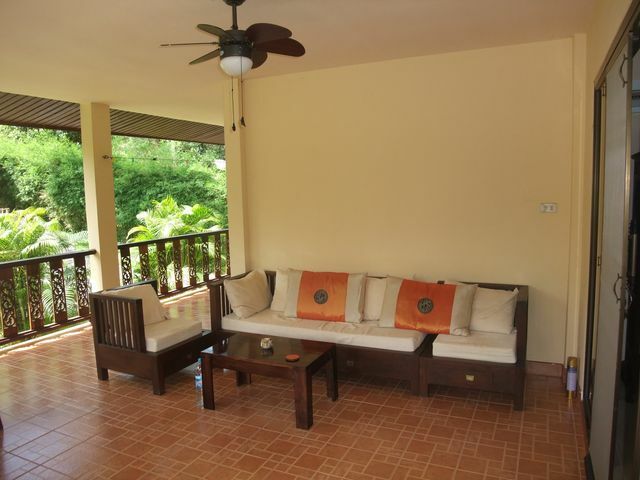 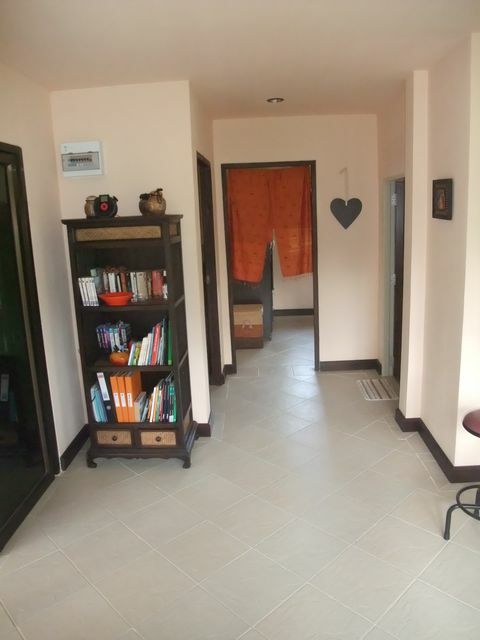 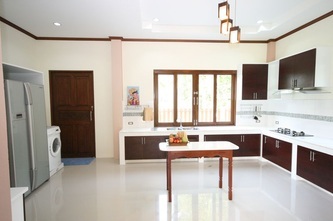 Beautiful 3-bedroom 2-floors villa was just built in 2012.
fully-equipped villa-standard kitchen with washing machine. 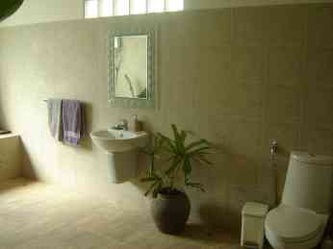 3-bedrooms, each with en-suite bathroom. 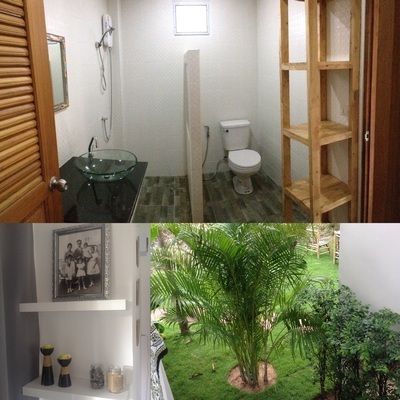 One bedroom has bathtub, other 2 shower cabin, separated from toilet. Land: 0,5 Rai, Nor Sor Sam. 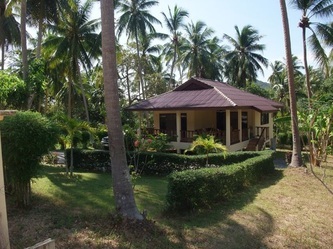 Thai style house and 1 Rai of land (Chanote) on a road, in 20 meters from the beach line. 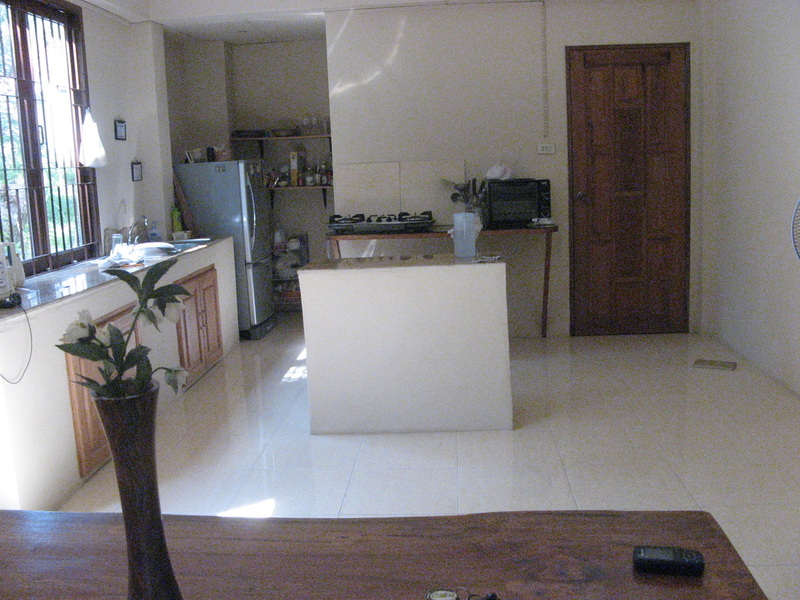 Land has 2 papers, 0.5 Rai each. 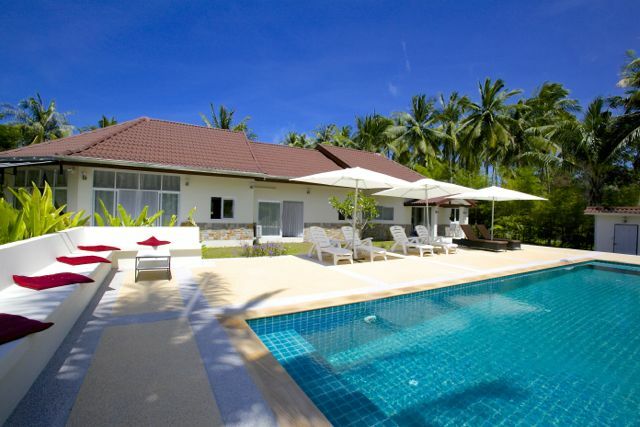 Sea view land & villas in Baan ﻿Kai, fro﻿m 5,5 mln THB. 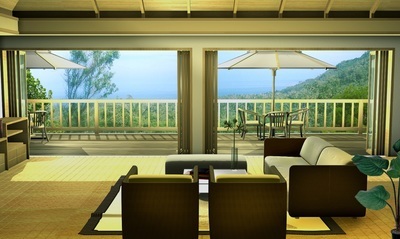 There are five villas with panoramic views, 2 & 3 bedrooms, all now sold out. 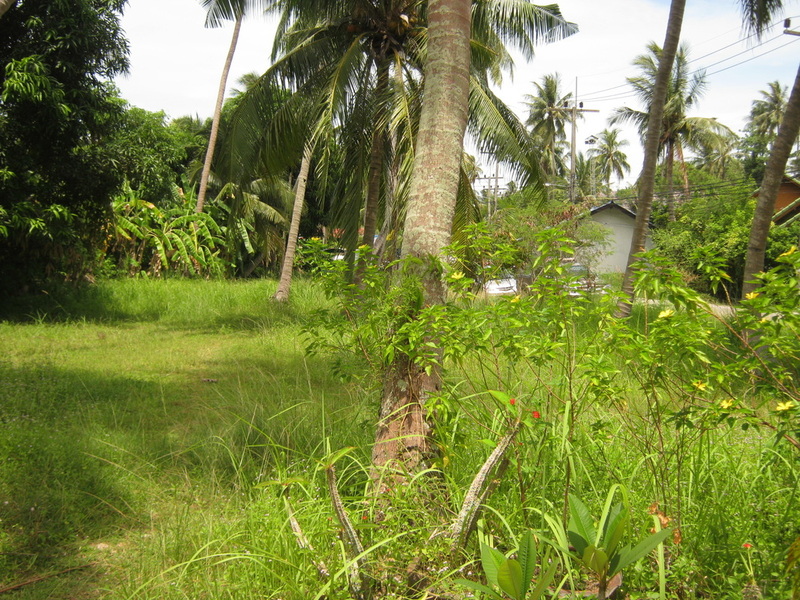 So the option is to buy the land plot and discuss the villa project, which will be completed in 5 months. 2 story - 3 bedroom, 3 bathroom, large living area, large kitchen with dining area, large balconies for 2 of the bedrooms and 1 bedroom has an en-suite toilet. 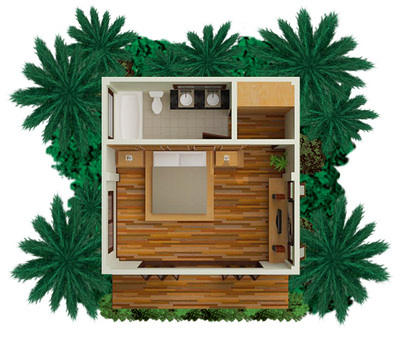 The land is 1/4 of a rai. 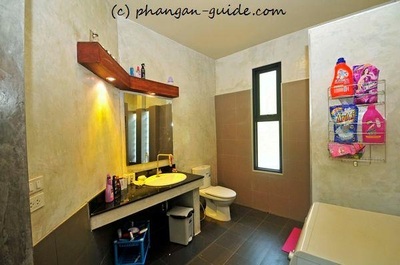 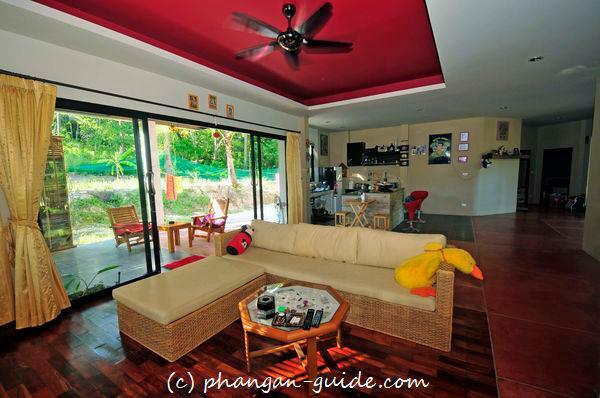 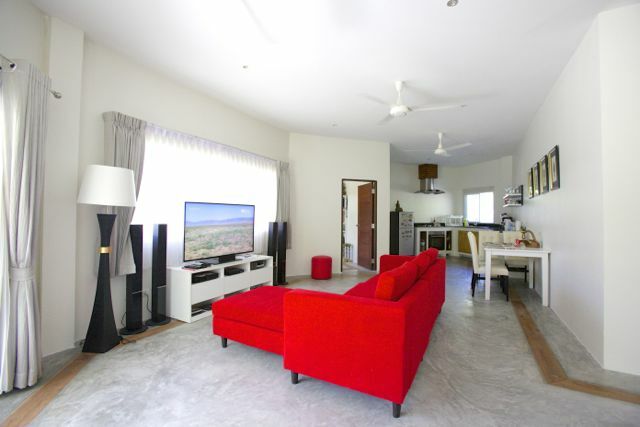 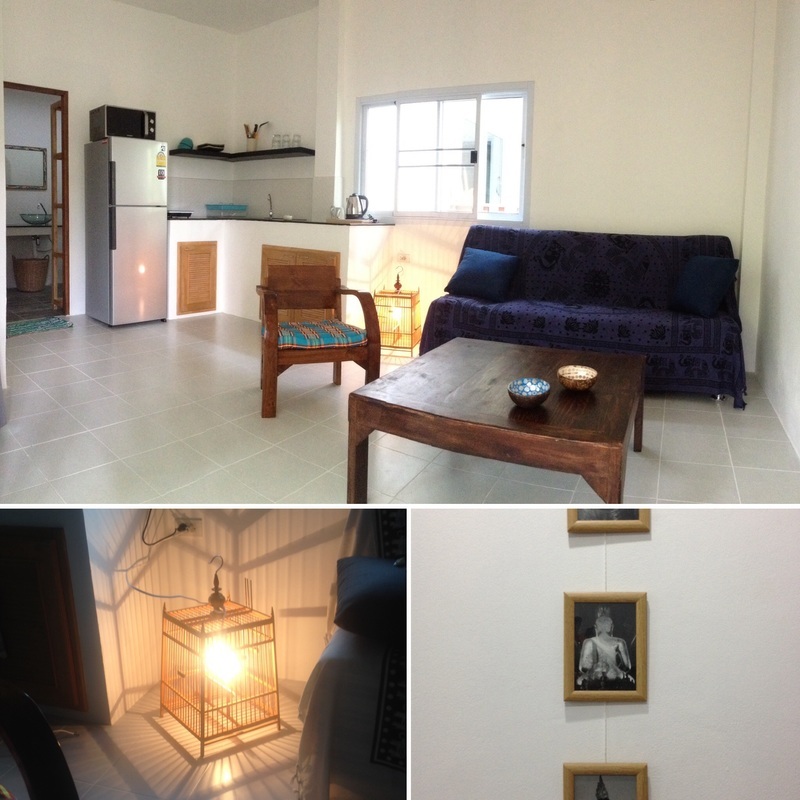 Lies on 1 Rai plot (Chanote), 5-bed villa located in 150 m from the beach of Hing Kong. New house now in a last completion steps. 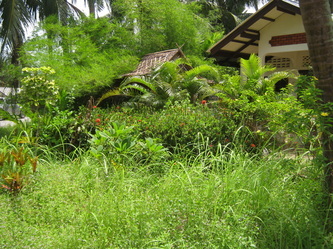 Beach opposite the road. 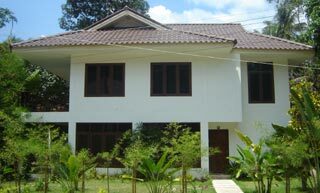 the home is 180 square meter and the land is 1 rai and 3 wats same as 2000 square meter. 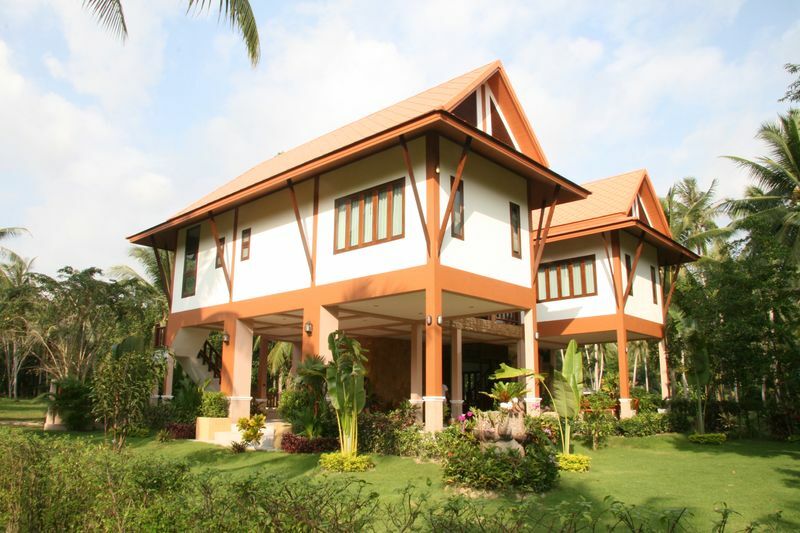 The price is vary during the year and depends on owner's feeling. 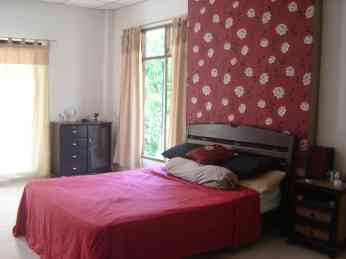 Pleas contact him to get more info. 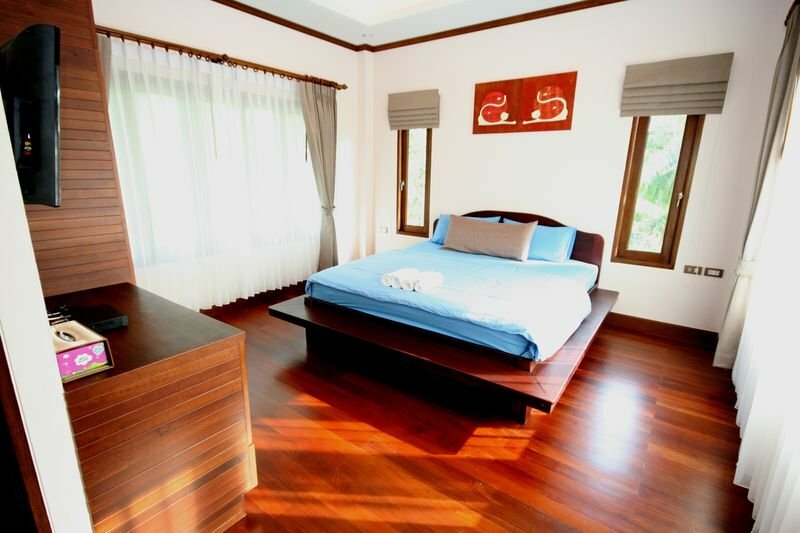 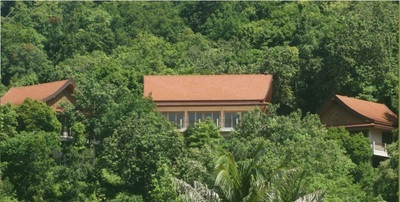 Villa located in 10 minute walk from Thong Nai Pan beach and designed to have panoramic views of the sea, mountains and the waterfall, which flows past the western border of the complex. Tarn waterfall runs for 2 Km and has natural stone Jacuzzi-pools to play in and refresh yourself in a hot day. 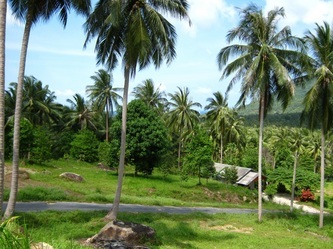 The road from the Thon Nai Pan village, on site roads to each property, electricity and water provided. 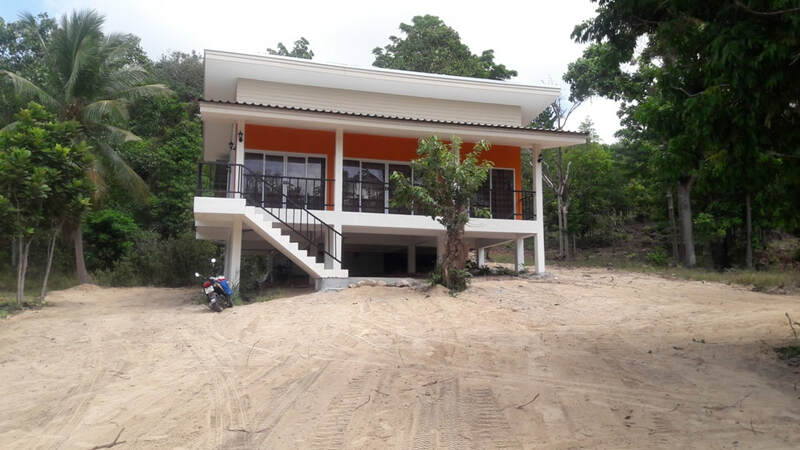 This is the first villa from 5 in total - its complete and has 552 square meters of usable area with 284 square meters being internal. 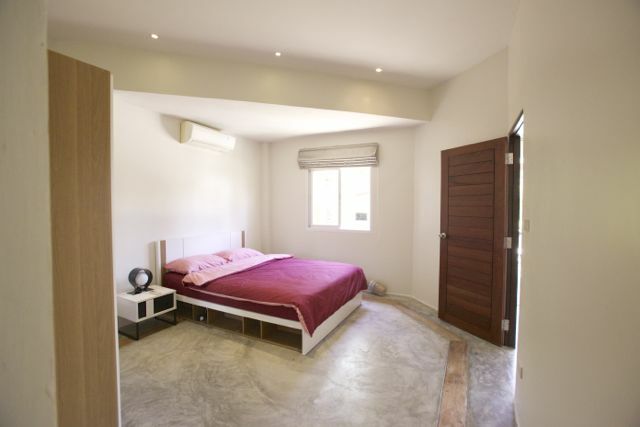 The master bedroom has a traditional style vaulted roof with an incredible 72 square meters of floor space and its own 72 square meters private terrace. 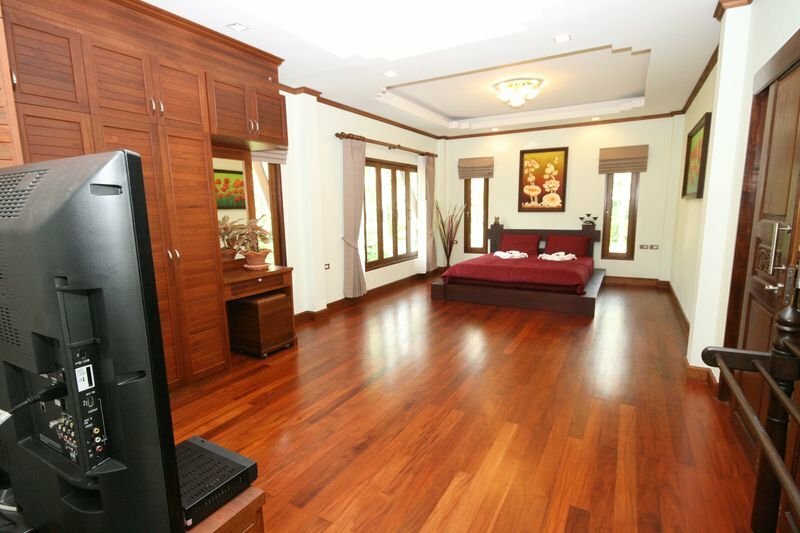 Price: from 25 mln. 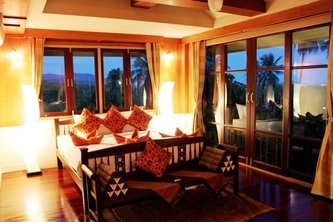 THB depends of villa type and furnishing. Contact managing director of the property by on e-mail and request additional info. 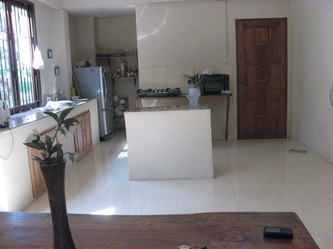 2x42sqm houses on land 720sqm chanote. Fully equipped - as you can see on the pictures. Electric from goverment, water from the well. its new houses built in 2015. 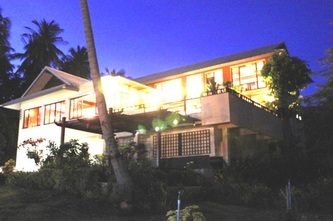 Price reduced for quick sale - in the mid June - 2,100,000 bath (possible to buy with company). 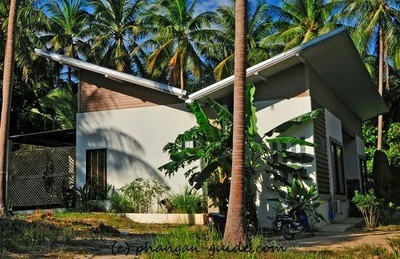 House for rent on Ko Phangan, Koh Phangan Land for for sale, business for sale on Koh Phangan, resorts for rent Phangan, marketing Ko Phangan, Phangan blog, accomodation Ko Phangan, Than Prapard Resort, Khanom and Sichon property, Koh Lipe property, Koh Tao property, wedding on Phangan, Phangan-Samui real estate overview.